N: Lots of sherry as the colour would suggest with plenty of vanillas. Exactly what i’d expect from a single cask sherried grain - in the 20yo old bracket i imagine. T: Lovely sherry, wonderful sherry complimenting the simple grain, but theres little else. 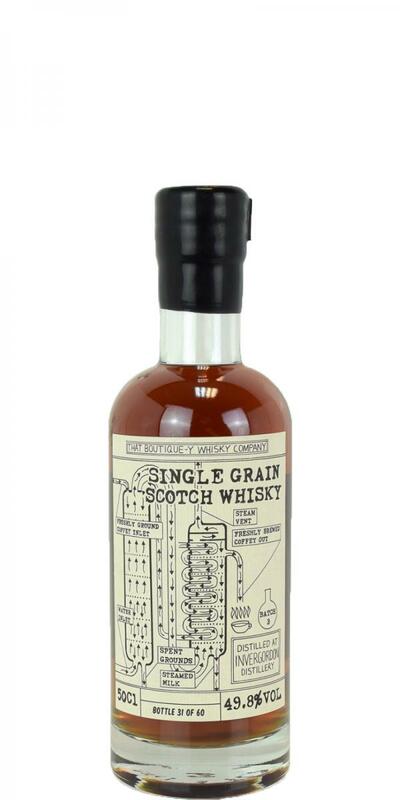 C: If you’re after a single cask sherried grain, here it is. For what it is, it cant be faulted. N: Fruity, soft vanilla wood. T: Fruity spice. Works neat. Nose: Crikey. Deep, intense, fragrant fudge. With a nose like this, you may not want to drink any! Given time some fruity banoffee emerges with dried coconut, dark spices and more complex and creamy caramels.Palate: Toffee bitter, clove and rye-like pepperiness. Good body. Treacle covered almonds.Finish: The spicy toffee goodness keeps on coming.Overall: More along the lines of Batch 1 (the colour is a giveaway! ), a well-aged Boutique-y grain whisky. Perfect.